Hello my lovely readers! Happy wine Wednesday! This week has been a bit of a doozy for me. My husband has embarked on the beginning part of the Pacific Crest Trail hike for 2 weeks. Miss him already…sunshine, good wine, family and friends all help. But, I ask, what makes the quiet moments more enjoyable? You guessed it – a glass of wine, or two! 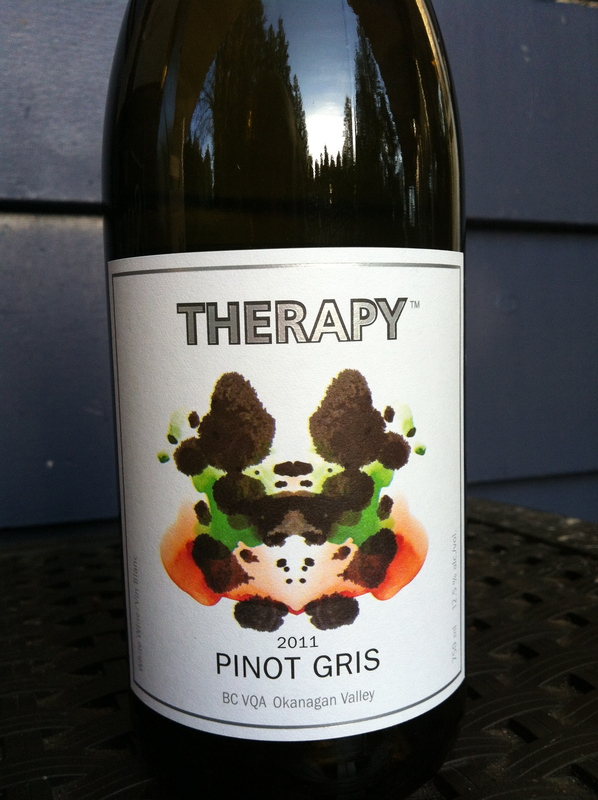 In my final instalment of my March Pinot Gris/Grigio posts – I am reviewing Therapy Vineyard‘s Pinot Gris 2011. Let me tell you straight away – this is some damn fine ‘therapy’ for under $20! I am kind of in love with British Columbia’s Naramata Bench. The south facing aspect of the vineyards on this gorgeous piece of land benefit beautifully from the Okanagan sunshine. My family and I go up as often as we can. Therapy Vineyards is doing a fantastic job not only of winemaking but hospitality – they have a gorgeous guesthouse on site that is definitely worth a stay. Stunning. Ok – onto the wine…Therapy’s Pinot Gris is one of the nicest B.C. Pinot Gris’ I have had the pleasure of drinking. It is very pale lemon in colour and has a nice medium intensity on the nose with aromas of citrus and white stone fruit. There was a lovely hint of grapefruit as well as wet stone. This is a youthful wine to be enjoyed now. On the palate, Therapy’s Pinot Gris was dry with medium + acidity, a nice medium level of alcohol and it was light in body. 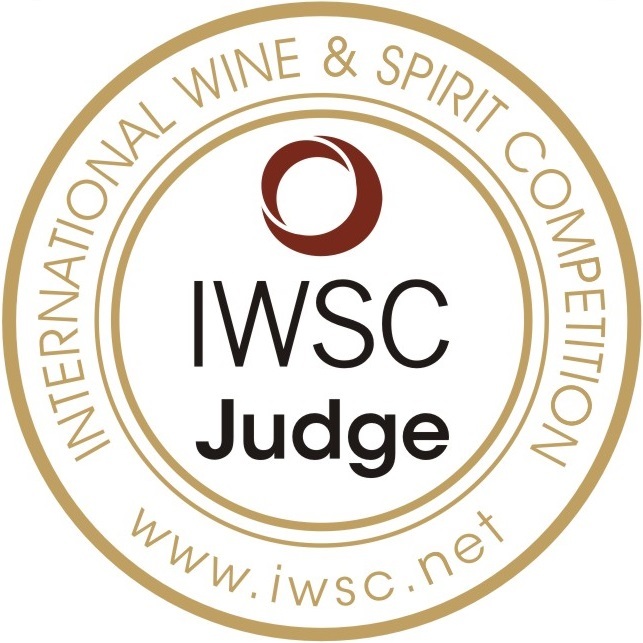 The flavours mirrored the aromas with some beautifully balanced citrus fruit and stone fruit – lemon peel, white grapefruit, red apple and nectarine. Again, there was a hint of minerality on the palate. Therapy’s Pinot Gris had a medium + finish which was nice and refreshing. This is a “Hell Yes” wine for me – it is the perfect spring or summer bottle. This wine tastes exceptionally pure and clean. It was fermented for 4 months in a stainless steel tank before bottling which allows the clean, fresh fruit flavours to shine through. The Village VQA wine stores carry this wine and Therapy has actually created a tab on their website where you can purchase their wines in B.C. and Alberta…one smart idea! A fantastic B.C. Pinot Gris for under $20. Something to enjoy with good friends in the sunshine! Pair with chicken with lemon or a light white fish. One very clean and pure tasting bottle of goodness! As always – thank you for reading. I love Therapy Vineyards – give Superego a try! ❤The site!